‘So, he talks about crime online and is murdered and left to be found in what is made to look like a crime scene?’ Ross asked, clarifying the situation in his own mind. A situation we all needed to get our heads around. I can't come up with a plot summary as succinct as that, no matter how hard I try. As far as hooks go, they don't come much better than that. This is my second Rebecca Bradley novel, and it's the second one with a killer hook. In many ways, a killer hook -- like knowing -- is half the battle. It's up to DI Hannah Robbins and her team to find this murderer, and from the get-go, the cards are stacked against them. To begin with, social media was aware of the body before the police were (despite the number of CCTV cameras in the area the body was dumped), and Twitter was demanding action. Which means -- like in so many aspects of society today -- the pressure on those seeking to do the work in a professional, careful manner works against them. The online mob (and the politicians that fear getting on their wrong side) demand instant action, instant results and instant justice. Good police work rarely gives you instant anything. Robbins' team is in a little bit of flux at the moment -- they have a relatively new DCI, who isn't thrilled with the makeup of the team and doesn't trust Robbins' leadership (possibly not her ability at all -- I'm not sure) as well as a newish DC who has started to prove herself (but is still trying to); they're short a vital member due to a recent heart-attack; and Robbins herself is recovering from an injury and isn't quite herself while being distracted by some family drama. But like any good team of professionals, they band together, adapt and get to work. I can easily see versions of this book where the internal problems distract the team from the investigation enough that the killer strikes again (which doesn't mean that the killer doesn't strike again here, but it's not for this reason). Robbins seems to do a pretty solid job running things, using her personnel and herself efficiently and wisely -- from this particular armchair, the procedural part of this novel is the way things are supposed to go. No maverick detective bucking the system, going their own way, or bending any rules of evidence. How many "police procedurals" can claim that? Through that careful, ticking every box kind of approach -- the stuff that Rebus can't be bothered with, Bosch only gives lip service to, and Peter Grant submits to (grumbling the entire way) -- Robbins team gets the job done. Not that serendipity doesn't play a role, but that happens. One death permanently changed the life of many people. Those affected by a murder often felt as though their life had also been taken once a loved one had been snatched so ruthlessly. But a court, should a murder ever go to trial, only ever counted one life. The media only counted and reported on the one life. 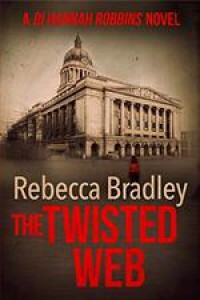 Investigating the murder, you soon came to realise it was a hell of a lot more than one life. You don’t live in a vacuum. You are more than yourself in the world. There were a couple of times, however, that she ruined the moment (well, diminished it greatly) by following a nice bit of description and showing us what was going on by following it up with an unessential and clunky sentence telling us what she'd just shown. Displaying a little more trust in her readers would help things. But overall, I was really impressed with the way she described the thinking and emotions behind the actions of her characters -- even the tertiary ones. Her characters are fully-developed and well-rounded. Even many of those we meet for only a few paragraphs. I'm a newbie to this series, but by the end, I thought I had a pretty good handle on almost everyone in Robbins' world, as well as the killer and their family. That's not easy to accomplish in a book like this that really had a lot more going on than just the murder inquiry. I really want to find out how things progress with a few of these people, and would jump on book five in this series tomorrow if it were available for that reason alone (well, okay, December -- but only because I've got the rest of this month tightly scheduled). I spent most of the novel annoyed by how much time we were spending with the killer -- typically, novelists don't pull this part off well, or at least with enough value added to make it worth my while (and several novelists and novels that are my favorites have this problem). Getting his perspective on the reaction to his crimes and on the official investigation didn't seem to add much to the book, and took time away from the more interesting characters and actions. Because, really, almost all of his reactions were what the reader would've guessed if Bradley hadn't given us this. But, I have to admit by the end, Bradley made almost all of it worthwhile -- it was some pretty clever plotting on her part and a subtle bit of character work -- and turned what was a weak point (for me, not for others) into a strength. I was impressed with Dead Blind when I read it a few months back -- but this The Twisted Web is so much better. Maybe because she's had more time to create this world and knows her characters better, maybe it's just the world she's created. Either way, this book has insured that I'm going to be on the lookout for whatever she's doing next (and, time permitting, I'll grab the first three in this series). The Twisted Web delivers it all -- some reflection on the driving forces behind our contemporary culture (and a well-deserved critique! ), a solid police procedural, a villain with a credible motivation, a crime spree one can actually imagine happening, a couple of legitimate surprises, and human characters (as opposed to cardboard cutouts or stereotypes) driving it all.